DUBAI – October 10, 2017: Ishraqah, a leading UAE based developer, has completed the handover of The Onyx, located on Sheikh Zayed Road, Dubai. The Onyx is Ishraqah’s prestigious freehold project that consists commercial and residential towers along with a four-star lifestyle hotel, three podium levels of commercial and food and beverage outlets, making it a key local community destination in Dubai. The stylish and premium mix use development has witnessed a surge in demand. Most residential units of The Onyx are already sold out, with many of them already occupied. The offices and commercial space are also in high demand. Earlier in the year, Ishraqah had signed an agreement with Coldwell Banker, a global Real Estate brokerage. The agreement mandated Coldwell Banker UAE as the exclusive agent for The Onyx. The Onyx has a five-level car park – two in the basement and three on the podium, providing space for approximately 1,440 cars, exceeding the recommended international parking ratio. The development is equipped with 24 high-end elevators and a fitness center. Ishraqah was established as a strategic alliance between Al Zahran Group and Bin Mahfouz Group, two prominent business groups in the GCC, in 2006, to pursue opportunities in the regional and international property markets. Ishraqah and its sister companies currently manage a portfolio of real estate developments and investment of over AED 5 billion, in the US, UAE and Saudi Arabia, with offices in Dubai, Riyadh and Jeddah. With this exclusive partnership between both organizations, Coldwell Banker continues to lead the project sales for The Onyx. There is an overwhelming response from potential investors for the few residential units that are available for sale at The Onyx. The prime development will soon host leading brands including Al Maya Supermarket, French Bakery, Costa Coffee, MMI, Papa John’s and 1004 Mart. Many other retail and F&B majors are also expected to open at The Onyx. Ishraqah has also moved its offices to the project earlier in the year. Speaking about the project and partnership, Sheikh Bader G. Al Zahrani, Chairman of Ishraqah said, “We are happy to announce the completion and handover of The Onyx. Our partnership with Coldwell Banker for our prestigious The Onyx project, has boosted our sales immensely. The Onyx was one of the most awaited developments and we are very proud of the way it has turned out. Coldwell Banker is an expert in real estate in the UAE and we have fully trusted them to continue to market the project in the right way. “The UAE is constantly seeing a surge in demand for state-of-the-art commercial and residential projects and we provide just that with The Onyx. This is understood very well by Coldwell Banker and we can see that through the retailers and residents that are already on board, in addition to over 80 commercial offices which are under fit-out. Through this project we hope to strike the right cord with our buyers in terms of luxury, world-class amenities and features. 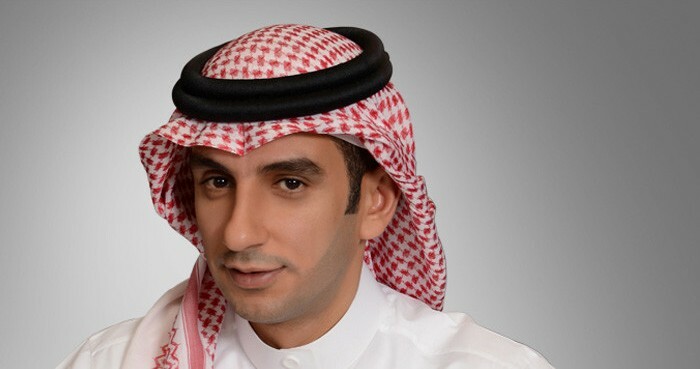 Ishraqah has chosen Coldwell Banker to be our exclusive agent considering, the organizations strict adherence to real estate policies, rules and regulations in this market,” he added. “The Onyx also has a four-star hotel which will add a great charm to the already stylish development. The location of The Onyx is another advantage, it is centrally located and is in the immediate vicinity of the Greens with easy access to the Sheikh Zayed Road. The unique positioning of the building and strategic orientation of the apartments ensure beautiful views for the residents. It offers spectacular views of the golf course, the skyline of Dubai Marina, Palm Jumeirah and the Sheikh Zayed Road”, Mr. Al Zahrani further said. “The Onyx offers everything to the buyer in one location. It has great retail options, beautiful and luxurious residences, class A local and international companies and a four-star hotel. It is a community by itself. Since our association we witnessed extremely high interest from buyers. We hope to see more buyers coming over the next few months,” he added. Mr. Elfar further said, “Coldwell Banker has showcased a strong growth in the local market — driven by its projects of unparalleled quality and value for the investors’ money. We immensely contribute to the growth and of Dubai among the great cities of the world. We are catering to the needs of this global metropolis, which attracts both the end-users and realty investors alike. At Coldwell Banker, we understand the need of the people and the requirements of the developer and hence strike the right balance between both. We are confident that The Onyx will be one of the best commercial and residential property in Dubai”, he added. Coldwell Banker was established in 1905 in the USA and opened its first branch in the UAE in 2005. Ishraqah was established as a strategic alliance between two prominent Gulf business groups, Al Zahran Group and Bin Mahfouz Group, in 2006 to pursue opportunities in the regional and international property markets. Ishraqah and its sister companies currently manage a portfolio of real estate developments and investment of over AED 5 billion covering the US, UAE and KSA markets with offices in Dubai, Riyadh and Jeddah. The Company’s prime objective is to be a dynamic, environmentally conscious and ethical organization committed to developing innovative and unmatched products to excel customer expectations. Ishraqah has always given top priority to innovation and quality with a clear focus of providing investment and home ownership opportunities to its valued customers. Exceptional, contemporary and modern, The Onyx promises a fantastic lifestyle experience. Apart from an excellent location and a wealth of amenities to support futuristic city living, The Onyx also accentuates the practical side of living, offering the convenience of having restaurants and cafes, as well as the right mix of retail shops and services, all a short walk away. In all, The Onyx sets to create a lively social scene that doesn’t require a car to keep up. The star highlight of the development will be the 4-star lifestyle hotel that will offer the right venue for special occasions. The Onyx strikes the right balance by featuring everyday lifestyle conveniences an elevator ride away. Founded in 1906 on a commitment to professionalism and customer service that remains the core of their business philosophy today, Coldwell Banker today has over 3800 offices and 126,000 Sales Associates securing its title as being one of the largest global real estate organizations. The Coldwell Banker family has its foundation based in San Francisco where it celebrated 100 years in the real estate industry in 2006. Egypt hosts the headquarters for the Middle East operations. The Dubai operations have been active since 2006 and offer Residential and Commercial properties for Sales and Leasing as well as Off Plan projects.